This lovely three bedroom, two bath, two car garage, brick home is located in a great Harvest neighborhood on a .42 acre lot. The home has a great floor plan that maximizes space, allowing a great flow from the main living area to the bedrooms and kitchen area. 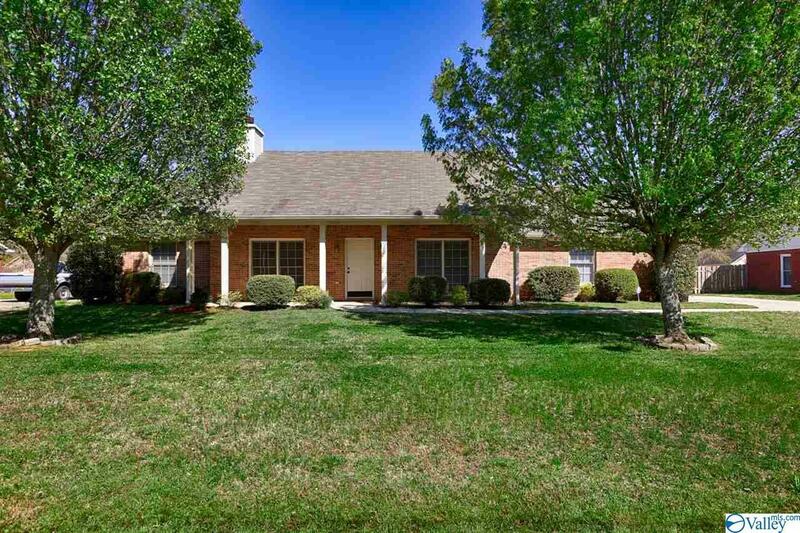 You will find 9 ft. ceilings, crown moulding; ceiling fans in the living room as well as the bedrooms. The separate master bedroom offers a walk in closet. The garage has a work area and direct access to the back yard. The HVAC was replaced in 2012, Roof in 2011 and hot water tank in 2015. Recent upgrades include new laminate kitchen countertops, new cabinet hardware as well as a raised toilet.